The Super Bowl is the biggest game of the year in the National Football League (NFL). Watch the Super Bowl online by live streaming. Live streaming is watching a show or event in real-time through the internet instead of using a digital antenna or paid TV service, such as cable or satellite. For Super Bowl LIII (53), NBC is the network selected to broadcast the game, which will take place on Sunday, February 3, 2019 at the Mercedes-Benz Stadium in Atlanta, GA. CBS is expected to broadcast the game through the CBS Sports app and on the internet at CBSSports.com, in addition to their over-the-air standard broadcast. The NFL selects a network broadcaster for the Super Bowl on a year-by-year basis, so the primary broadcast network is often different each year. Fox, NBC, and CBS will rotate coverage through the end of the 2022 season. CBS will carry Super Bowl LIII in 2019 and Super Bowl LVI (56) in 2022. Verizon Wireless has a (non-exclusive) agreement with the NFL to live stream regular season games, playoff games, and the Super Bowl. 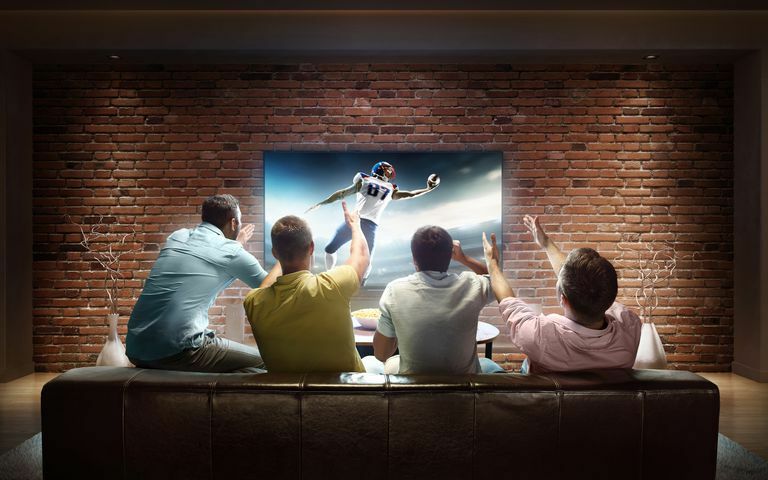 Verizon-provided live streams of NFL games were previously limited to Verizon customers, however, the company has announced they will provide a free live stream of Super Bowl LII available to anyone with an internet connection, no matter who the service provider is. The website TotalSPORTEK often posts a full list of countries and channels planning to air the Super Bowl about a week before game day. NFL fans outside of the U.S. can also set up a Virtual Private Network (VPN) to access live streams through many of the options offered within the U.S. listed above.